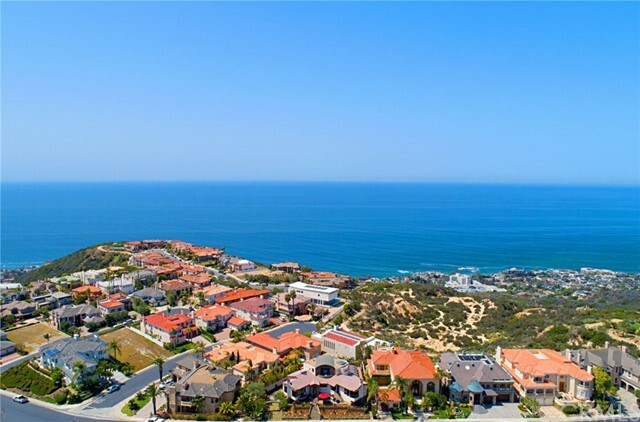 All Laguna Niguel homes currently listed for sale in Laguna Niguel as of 04/20/2019 are shown below. You can change the search criteria at any time by pressing the 'Change Search' button below. 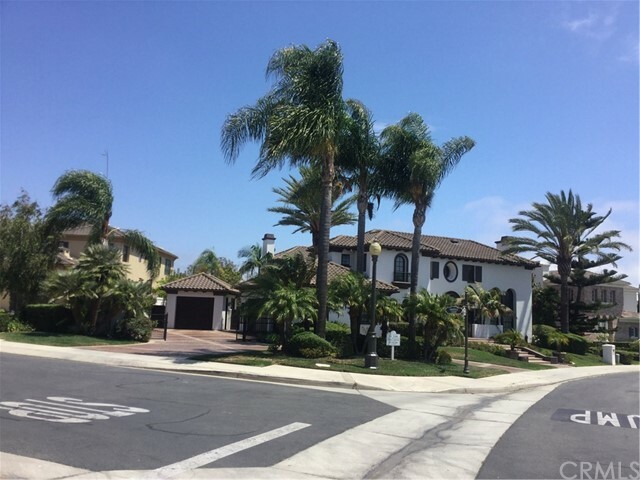 If you have any questions or you would like more information about any Laguna Niguel homes for sale or other Laguna Niguel real estate, please contact us and one of our knowledgeable Laguna Niguel REALTORS® would be pleased to assist you. "PROFESSIONAL PICTURES COMING SOON ........................................A VERY PRIVATE ESTATE...................................... 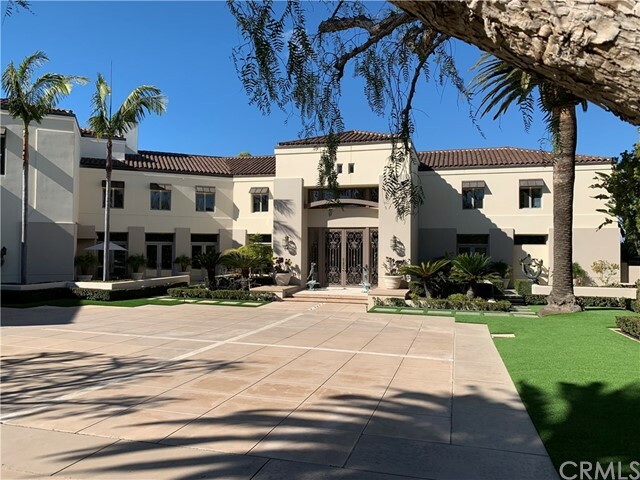 ELEGANT ESTATE LOCATED IN THE PRESTIGIOUS AREA OF BEAR BRAND RANCH, LAGUNA NIGUEL CALIFORNIA, A SHORT DRIVE TO THE WORLD FAMOUS RITZ CARLTON RESORT AND DANA POINT HARBOR, 30 MINUTES TO ORANGE COUNTY AIRPORT. THIS ESTATE OFFERS 14,451 LIVING SPACE WITH 11 BEDROOMS AND 12 BATHROOMS, THE ESTATE BLENDS INDOOR AND OUTDOOR LIVING WITH SEVERAL LIVING SPACES THAT OPEN TO YOUR PRIVATE RESORT, EXCEPTIONALLY SPACE FOR ENTERTAINMENT AND RELAXING BY THE POOL OR WORKING ON YOUR PUTTING SKILLS. THIS EXTRAORDINARY ESTATE WITH IMPECCABLE DETAILS FROM THE OVERSIZE KITCHEN, THEATER ROOM WITH SIT DOWN BAR, 3RD FLOOR GAME ROOM AND OFFICE, IN HOME GYM, MAIN FLOOR OFFICE, NEW SOLAR SYSTEM 51 PANELS (OWNED), LAST 90 DAYS, 3 MAIN FLOOR BEDROOMS, ELEVATOR, NEW SONOS SYSTEM ON EACH LEVEL AND OF COURSE .....PRIVACY .................."
"Timeless elegance awaits at this inspiring Bear Brand Ranch estate, situated on manicured private grounds spanning nearly 2 acres. Thoughtful details throughout paint a beautiful picture of the life to be lived here. With a design and layout built for both form and function, the home presents an incredible opportunity for effortless everyday living, bookended by stunning engagements held within an entertainer s dream estate. The spacious master suite features an attached office, private balcony, two generous closets, and en suite master bathroom complete with a separate shower and therapeutic bathtub, dual vanities, a separate makeup vanity, and dual sinks overlooking the impressive backyard. Floor-to-ceiling glass doors throughout the main level look out to the magazine-worthy rear grounds, featuring a lush grass yard, built-in BBQ area, firepit, pizza oven, multiple water features, solar heated pool and separate spa with waterfall feature, rose garden, and panoramic ocean views spanning out to the sparkling Pacific. Offering professional-grade appliances, dual islands with eat-in seating, and a retractable pot filler, the gourmet kitchen overlooks the informal dining area and inviting living room. Rooftop solar panels, a full smart automation system, two Tesla superchargers, fully-zoned 5-unit AC, a second office or homework room, craft room, library, wine cellar, 2 dog runs, and a laundry room on each floor come together to top off the amenities of this incredible estate." "This custom english country stone estate is located in The Pinnacle, an exclusive neighborhood behind the Monarch Point gate. 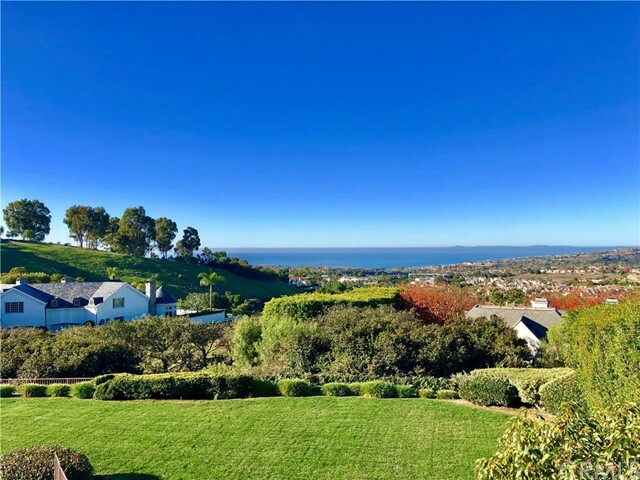 From almost every room you can see the coastline from Laguna Beach, Catalina Island, San Clemente Island, all the way to Palos Verdes, is the view you enjoy from this custom 3 level, 5 bedroom, 8 bathroom home. The grand entry of this 7,818 square foot estate has a beautiful staircase, marble flooring, high ceilings with skylight and Ebonista rock crystal chandelier. As you step down entering into the living room and bar, the sliding pocket window opens the home to the patio, garden and pool overlooking the white water views. The gourmet kitchen is fully equipped with 2 sub zero refrigerators, 6 burner gas range stove, double ovens, 3 dishwashers, coffee pantry with espresso machine and much more. French doors lead you to one of the master bedrooms with full views of the ocean and canyon. A gas fireplace, his and her walk in closets, double jacuzzi tub with a steam room shower. This home also provides a 2nd master with 3 additional bedrooms. A formal all wood panel coffered ceiling library with bar plus refrigerator, a great room with entertainment center and pub, an underground 5 car garage, and elevator. A main level garden and deck with an ocean view, salt water pool, infinity spa and firepit. This well located gated estate has everything you can imagine from views, to luxurious finishes, and top nearby private schools." "Limitless whitewater views of the Pacific draw you into this spectacular Contemporary estate in the exclusive community of Monarch Point. Soaring ceilings and walls of glass feature the stunning beauty of sea and sky surrounding this rare property. Retractable skylights, sliding glass doors and a beautifully designed terrace with pool and 12 person spa further blur the lines between effortless indoor and outdoor living. 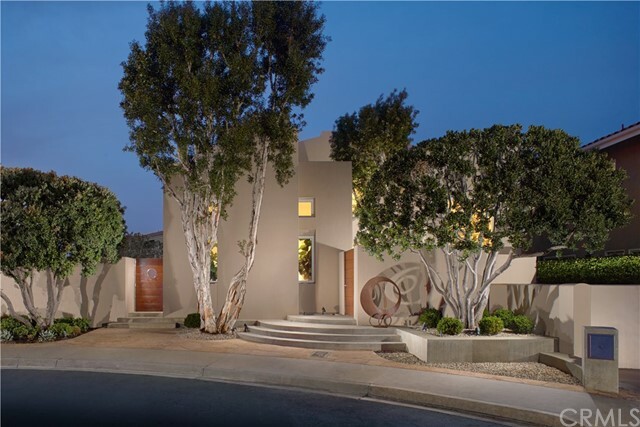 Completely remodeled in 2008, this meticulously maintained 4 bedroom/5.5 bath home features an exceptional chef s kitchen with mahogany cabinetry, casual dining area and an adjacent lounge area with illuminated marble bar. In the formal dining room, hand-laid mosaic flooring sets an elegant tone while the temperature-controlled glass wall wine display puts favorite vintages at your fingertips. Upstairs, the water views continue in the master bedroom and retreat with en suite bath, steam shower, fireplace, and lounge balcony. For media entertainment, discover the terraced home theater featuring a new projection/sound system and automatic reclining leather chairs. Other luxury amenities include heated floors, Lutron home system, Venetian plaster ceilings, Murano chandeliers, a built-in outdoor kitchen, and a resistance swim system in the pool. Located in the guard gated community of Monarch Point just minutes to world class beaches, shopping, and overlooking the Ritz-Carlton resort, this estate will leave you breathless." 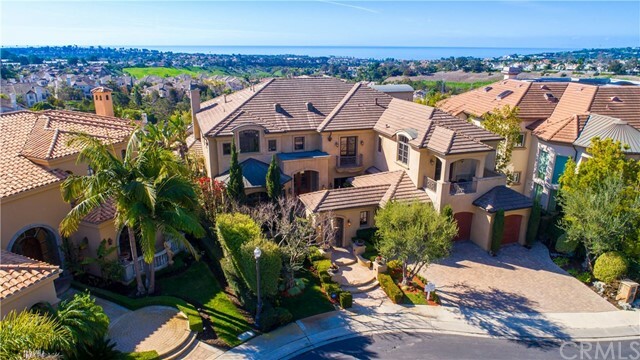 "Located on a quiet cul-de-sac in the exclusive upper section of Laguna Niguel s prestigious guard-gated Bear Brand Ranch community, this graceful French-inspired coastal estate is without compare. Exceptionally private grounds encompass nearly 28,311 s.f., allowing ample room for a sparkling resort-caliber pool and spa, sprawling lawns, expansive patios, formal gardens, towering palms, and an entertainment pavilion with fireplace, bar and built-in BBQ. Grand proportions continue inside, where an open floorplan spanning approx. 7,355 s.f. is introduced by a dramatic 2-story foyer with a graceful staircase. Marble flooring and designer carpet enrich the main floor s formal living areas, a handsome executive office with stained-wood built-ins and paneling, and a family room with wet bar, fireplace and built-in media center. Entertain stylishly in a chef s kitchen with custom cabinetry, granite countertops, an island with seating, and pro-level appliances. High ceilings, Palladian windows, French doors, archways, crown molding, plantation shutters, chandeliers, Juliet balconies, bold columns and only the finest fixtures and finishes recall the artistry and romance of the French Riviera. Enjoy 6 ensuite bedrooms and 7 opulent baths, including the stunning master suite complete with a circular entry vestibule, a balcony with ocean and Catalina Island views, tray ceiling, large walk-in closet, European marble surrounds, dual vanities, a walk-in shower and soaking tub." "Custom Ocean View Estate nestled on a cul-de-sac located in the exclusive 24-hour Guard Gated Community of Bear Brand Ranch. Bear Brand Ranch is just minutes from the amazing surfing beaches of the Gold Coast and is close to the world famous five-star Ritz Carlton Resort and Monarch Beach Resort. There are walking trails, quiet streets and glistening estates all around. It's located near some of the finest private schools in south Orange County. This amazing landscaped 5 bedroom 5.5 bathroom 4 car garage with cozy seating area in every bedroom. Admire ocean views from all levels equipped with sound system, media room, two separate staircases to the second level, self-cleaning operable skylights & complete home gym with separate entrance. Master retreat located in a separate wing with private balcony & fireplace along with his & hers walk-in closets. On the main level, enjoy saltwater aquarium, spacious office, and media family room. Kitchen equipped with Viking appliances, Subzero refrigeration, pantry & custom wine cellar with 100 year old hemlock interior. Entertainer guests with ocean view backyard, pool/spa, BBQ, fire pit and covered dining area. Luxuriate in this exceptional Estate!" 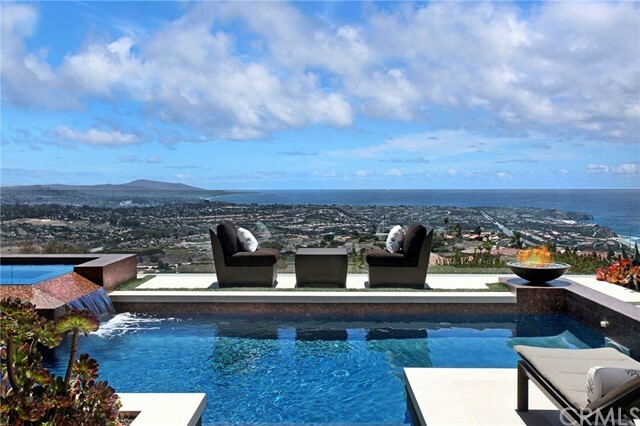 "Ocean views abound from this contemporary home in the revered community of Monarch Point. Spanning approx. 6,600 square feet of living space on three levels, this four-bedroom residence sets the standard for modern living by the sea. A carefully composed interior includes skylights in the main entry, stone flooring, built-in bookshelves, and blue-fire feature in the living room. In the richly appointed kitchen, an oversized island with professional-grade prep counter, breakfast bar and upgraded stainless steel appliances accommodate from the elaborately catered to the homestyle. The second level has 2 secondary bedrooms along with the master suite which includes a separate fireplace-warmed sitting area, private balcony, and impressive walk-in closet. En suite, the master bathroom invites indulgence with massage area and sauna, walk-in shower and separate soaking tub. The subterranean bottom level includes an office/media room, full bath, laundry room along with a wine room. The garage accommodating 6+ cars, offers one 600 sq. ft. storage room with de-humidifier and safe and one smaller storage or multi purpose room. There is also an attached workshop which is ideal for the at-home hobbyist. Breathtaking ocean-views surround the patio with an outdoor BBQ station, fireplace and a private pool and spa. Additional community amenities include Monarch Point pool, spa, hiking trails and sports courts making this property a cut above the rest." 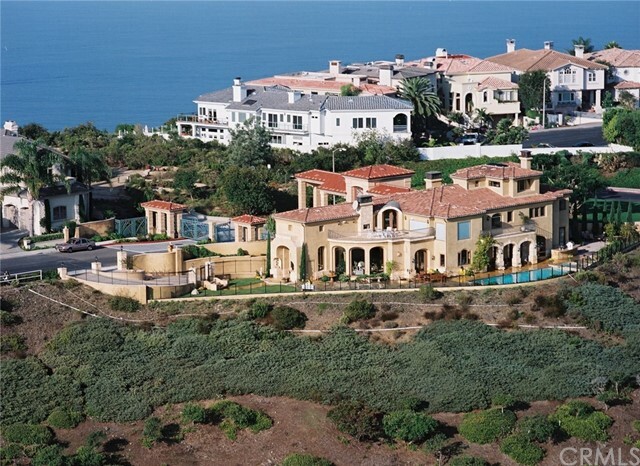 "Representing the pinnacle of refined living at guard-gated Ocean Ranch in Laguna Niguel, this magnificent 8,759-s.f. Italian-Mediterranean estate artfully complements modern advantages with richly detailed Old World craftsmanship. A prime corner homesite on an intimate cul-de-sac is among the most prized in the community. Approximately 35,372 square feet, the private compound showcases a large pool, raised spa, sea life statuary, a loggia, putting green and outdoor kitchen. Breathtaking interiors are appropriately introduced by a dramatic foyer with 30' domed ceiling and a graceful staircase with gold-accented wrought-iron railing. With six ensuite bedrooms and six-and-one-half baths, including a detached guest house, the regal residence ensures comfort for residents, guests and multiple generations. Discover a formal living room with masonry fireplace, formal dining room that opens to the outdoors, a home office with wood-paneled walls and ceiling, a wine cellar, bonus room, and an open great room with pub-inspired wet bar and built-in entertainment system. An open gourmet kitchen displays a u-shaped island, marble countertops, white cabinetry, a walk-in pantry, breakfast area, and Thermador and Sub-Zero appliances. One master suite is located on the first level, with the main master suite situated upstairs and featuring a three-sided fireplace, a retreat, sun deck with stairs to the loggia below, a sauna, dual walk-in closets, jetted tub and oversized multi-head shower." "This light & luxurious Ocean Ranch residence is situated on an expansive, half acre lot just minutes to the surf & sand. Beautiful remodel completed in 2018 with interiors by Blackband Design, every detail in this home was carefully considered and expertly crafted to a level simply without compare. Five bedrooms, five & half baths with approximately 5,900 square feet of living space, a separate office downstairs and additional media room/study for the children that could easily be converted to a 6th bedroom. The great room incorporates the most fabulous open kitchen with all of the finest: 4 full size Sub-Zero refrigerators/freezers, 2 Bosch dishwashers, a Wolf range with 2 ovens, rare Calacatta Gold marble counters, an incredible pantry and an additional room to design a wine cellar! The formal dining room and living rooms, billiard room, 4 fireplaces and contemporary touches have been artfully mixed with classic architecture creating a comfortable design that is perfectly suited to the most discerning buyer. The master suite features two walk-in closets, full ocean view, balcony, private gym and craft room.No expense was spared in the ensuite bath with a steam shower and a freestanding jet therapy tub, surrounded in the most beautiful Thassos white marble, alabaster and blue onyx.The extensive grounds are complete with salt water pool, spa, outdoor fireplace, grill station & 17 fruit trees. Its breathtaking design is perfect for entertaining and living both indoors and out." 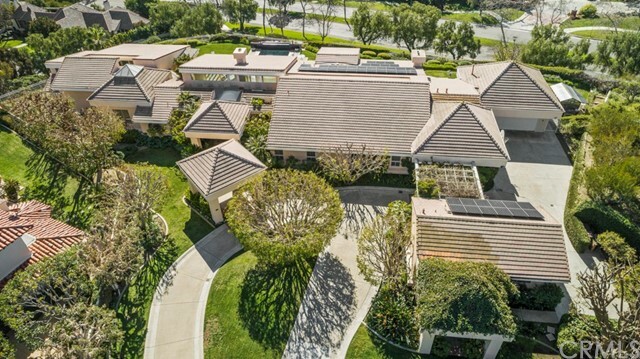 "Reflecting a lifetime of achievement, this ocean-view Laguna Niguel residence centers a premier promontory in the guarded community of Monarch Point. This home recalls the gracious ease of a Mediterranean villa surrounded by lush tropical landscaping. Inside, sunlit spaces express utter serenity, allowing panoramic vistas of Salt Creek Beach, whitecaps and beyond. Central to the home s enjoyment is the great room and entertainer s kitchen incorporating two-story ceilings, a fireplace, wet bar and wine cellar. A grand double sided staircase greet you, leading to a formal living room with fireplace and dining area, a powder room and en-suite bedroom, all accessed from a grand foyer, complete the main floor. Upstairs, the master retreat has an intimate fireplace-centered seating area plus a large ocean-view balcony, large his and hers closets and a sauna. Three more en-suite bedrooms and an executive office with fireplace share the floor. Highlights of the resort-like property include an infinity pool with adjacent plus built-in barbecue area, all bordered by view-preserving glass panels. 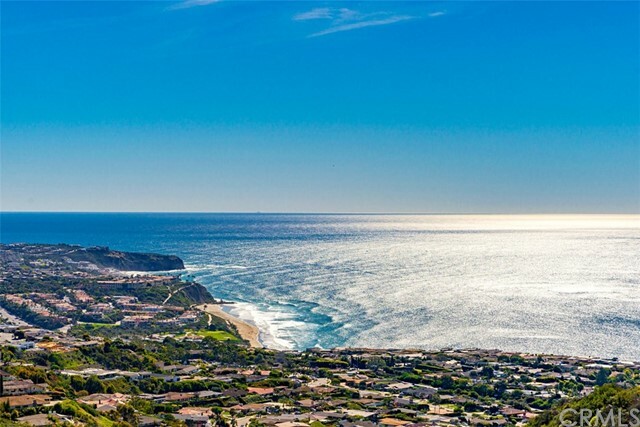 Laguna Niguel s matchless Monarch Point provides hiking trails, community pools and tennis courts, world-renown shopping, hiking trails, Salt Creek Beach, Five-star resorts and Monarch Beach Golf Links." "Luxury Live Auction! Bidding to start from $5,000,000! An exceptional opportunity to live in this gorgeous Mediterranean style estate, located in the prestigious guard-gated community of Bear Brand Ranch! Designed by award winning architect Stephen Phillips and renowned builder Mark Hobson. 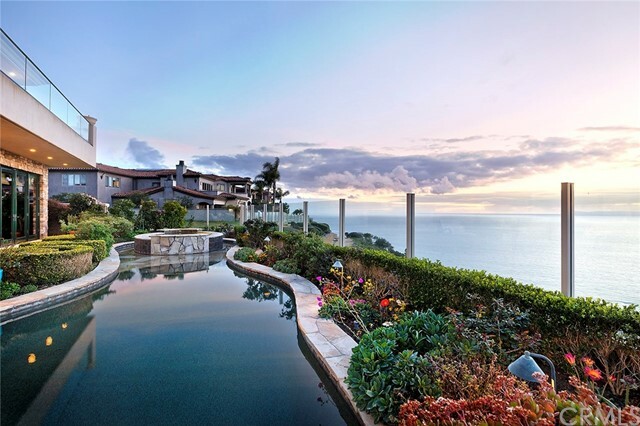 Nestled on an expansive lot, this home captures breathtaking panoramic views of the Pacific Ocean. Upon entering through the private gates, you are guided into a tranquil, magnificent courtyard and welcomed with ageless Italian architectural, beautiful greenery and an area to enjoy dining and fine wine. This beautiful home offers 6 bedrooms, 8 bathrooms, 2 laundry rooms, an elevator and virtually 10,000 square feet of living space. The master bedroom retreat showcases a connected grand platform with fire pit and the finest spa-like master bathroom! Main floor features a bedroom, executive office, private wine cellar and a luxury cinema theatre with working curtains for live performances. Presenting the formal living area, which highlights intricate stonework and arched custom doors. Fit for a Michelin Star chef, the highly sophisticated kitchen highlights a generous sized prep island and stainless-steel appliances. Open the grand retractable doors into a spectacular resort style backyard which includes a large baja style pool with built in recliners, swim up bar, spa, volleyball court, outdoor bar & BBQ area. The community displays lush landscaping, walking trails and close to the beach!" "ONE OF A KIND CUSTOM BUILT TUSCAN STYLE COUNTRY ESTATE IN MONARCH POINT, LAGUNA NIGUEL, CALIFORNIA. MUST SEE TO FULLY APPRECIATE THIS FINE CUSTOM HOME. POSSIBLY THE MOST UNIQUE LOCATION IN MONARCH POINT. CUSTOM FEATURES ARE TOO EXTENSIVE TO LIST. 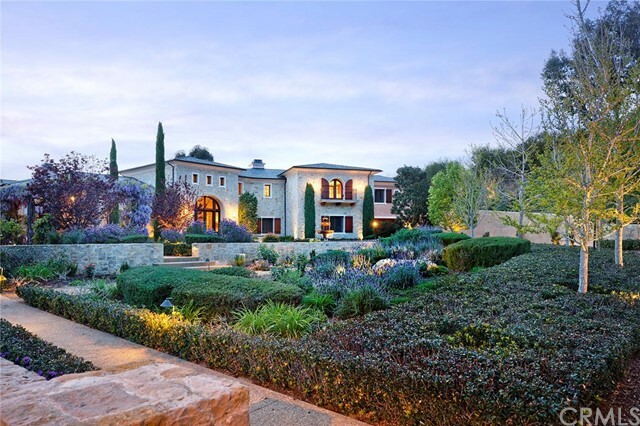 THIS EXQUISITE TUSCAN COUNTRY ESTATE HAS IT ALL, APPROXIMATELY 8,500 SqFt HOME, AND APPROXIMATELY 2,000 Sq. Ft. SUBTERRANEAN PARKING, ELEVATOR, STATE OF THE ART KITCHEN WITH VIKING APPLIANCES, POOL , SPA, VIEWS OF OCEAN, MOUNTAINS, HILLS, CITY LIGHTS, AND MUCH MORE." "FIRST TIME ON THE MARKET! Custom, single level OCEANVIEW home in gated Bear Brand Ranch. Entering the home you will find that each room is more breathtaking than the last. The living room offers a gas fireplace, floor to ceiling windows showcasing an ocean view that overlooks your pool and spa. 3 bedrooms and 3.5 baths spread across over 5700 square feet in the main house built on huge lot for max privacy! Kitchen features multiple ovens, microwaves, subzero refrigerator, custom island, separate Butler s Pantry, laundry/craft room with ample storage. Massive master suite with natural light, huge dual closets, master bath with shower, jetted bathtub. The second and third bedrooms complete with ensuite full baths and finished closets. The library features skylights, built-in bookcases, and high-quality carpet. Spacious family room with built-in media center, surround sound, fireplace and wet bar. Solar panels provide the power for the fully integrated smart home. Separate from main home is approximately 1500 sq.ft workshop (possibly convert to private casita?) with 3/4 bath, utility room, and private patio. Two, full two car garages with finished attics. Whole house water softener, 3 tankless water heaters. Year-round landscaping with fruit trees, herb garden, and greenhouse. Close to beautiful beaches and marina, the Ritz Carlton, world-class shopping, great schools, and the arts are all close." "Come home to relaxing, endless ocean views in this sophisticated five bedroom, four bathroom, contemporary home perched high on a bluff in the exclusive gated community of Monarch Point. Glass entry doors usher you past a statement waterfall into the two-story foyer, complete with the large retractable skylight perfect for enjoying starry nights and warm summer breezes. Floor-to-ceiling windows in the expansive two-story living room provide breathtaking panoramic ocean views framed by endless blue skies. An elegant array of granite and marble finishes as well as views of the ocean and city lights are delivered in every room in this open floor plan home. The one of a kind backyard complete with pool, spa, outdoor kitchen, and fire pit provides opportunities to entertain in style. Enjoy privacy and elegance in the main floor bedroom suite with private entrance to the pool or take in the ocean views from your private steam room. Laguna Niguel s matchless Monarch Point provides hiking trails, community pools and tennis courts. World-renown shopping and coastal beauty are just moments away." 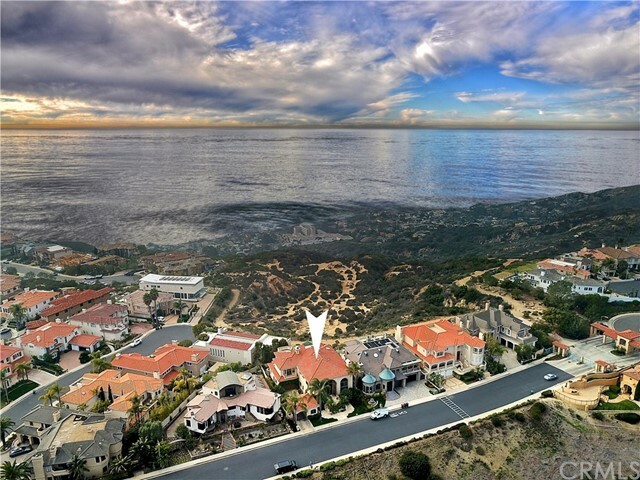 "The crown jewel of the prestigious Ocean Ranch community is strategically positioned high up at the end of a cul-de-sac and boasts Panoramic, Unobstructed Ocean View. You will find superior quality throughout this classical, Italian-style villa. The estate is lined with mature cypress and olive trees. Walk into this custom home and be immediately wowed by the breathtaking ocean views enjoyable from many of its living quarters. The entryway features high ceiling, a beautiful chandelier, and grand staircase with iron-wrought handrails. The expansive 7100sqft home feels warm and cozy with 4 en-suite bedrooms, a game room, and a media room. The scalable floor plan allows for an easy expansion by converting the game room and the media room into bedrooms for the expanded family. Downstairs family room features a separate reading area with a fireplace and serene view of the front garden. The large kitchen opens up to the breakfast nook, wine cellar, full bar, and living room. Large windows abound this section of the house where you can enjoy the ocean and sunset views. The upstairs double door opens to a grand master bedroom suite and a view deck with a connected loggia to the game room. The media theatre room is located on the 3rd floor and can be used as a gym. This classic masterpiece sports 2 outdoor loggias/fireplace sitting area, a salt water pool / jacuzzi with fountain feature, and a separate BBQ pavilion." "6 bedrooms with office and 6.5 baths highlight this incredible gorgeous estate in Ocean Ranch. Spectacular floor plan with ocean views. Huge living room with cathedral ceilings and spectacular floating staircase with custom decorative wrought iron. Spacious gourmet kitchen with huge eating area, center island, granite counters, Sub Zero and dual food prepping sinks. Large entertaining bar area next to large family room with fireplace and beautiful custom ceiling beams. Spectacular backyard with ocean views, saltwater pebble tech pool, 12 person spa, BBQ - great for large parties. HUGE Master suite with it's own fireplace, large walk-in cedar lined closets and dramatic ocean views! Dramatic marble flooring and custom hi-end carpet throughout. Large secondary bedrooms with private bathrooms. Versatile office with custom cabinetry downstairs for at home executive work. 6 car garage (room for 10 including driveway) with built in cabinets. Central vacuum system. This is a truly amazing estate for clients looking to have it all. 24 guard gated entry. Award winning school district and private schools. Close to beaches, harbor, dining and entertainment. This incredible home has it all!!!" "In the breathtaking guard-gated community of Bear Brand Ranch lies this wonderful estate that enjoys views of the Pacific Ocean. This home is warm, inviting and filled with sunshine. Spacious 5-6 bedrooms, plus an office, and a four-car garage. Few homes have such a perfect backyard in such an incredible community. Bear Brand Ranch is just minutes from the amazing surfing beaches of the Gold Coast and is close to the world famous five-star Ritz Carlton Resort and Monarch Beach Resort. There are walking trails, quiet streets and glistening estates all around. It's located near some of the finest private schools in south Orange County. The kitchen is light and bright and looks into the gracious family room with fireplace, reading area and bar with wine cooler. The living room has designer silk drapes hanging luxuriously from Swarovski crystal rods, and new expensive wool carpet in many of the rooms. Beautiful wood flooring greets you in the entry and dining areas. The Master and upper bedroom views are breathtaking. Watch glorious sunsets, rainbows and cloud patterns above the stunning blue of the Pacific Ocean. You do not have to turn your head, it is straight out! The Master Suite boasts His-and-Hers closets, patio, and small bar/coffee area, as well as a fireplace. Custom cornice boards enhance the airy ceilings. A lovely pool in the backyard looks out over the ocean as well as a large grassy play area! Very private. A rare jewel, this will not last long!" "Perched on a bluff overlooking the Ritz Carlton and beautiful crashing waves along the coastline, lies this beautiful jewel of a home in the guard-gated community of Monarch Point. Breathtaking, mouth dropping views encompass this home at every turn. You look south to San Clemente and past the pier, see the Ritz Carlton, and look out at Catalina and the other islands in the distance. Watch every sunset as the sky glows around you. With two bedrooms in the Main Home, and an attached Guest Suite with a living room and bedroom area and a separate entrance, this home feels like a luxuriously appointed Villa. There is an additional gym with its own bathroom that is attached to the home exterior and it may be used as an additional office space or fourth bedroom with separate entrance. Soaring ceilings in the foyer, living room and family room fill the home with volume, and the three-car garage is full of luxurious space. A natural park area lies off the rear side of the home, and a wonderful pool area, bbq and gazebo area are available for entertaining. Privacy and views abound in this home!" "A perfect blend of interior luxury and outdoor enjoyment meet at 6 Riverstone, Laguna Niguel. Approximately 8000 square feet of custom design sits upon an acre plus in South Orange County in one of the finest neighborhoods; Bear Brand Ranch. Rich Cherry wood throughout and abundant stone command notice in today s world. The rich warm Cherry wood cabinets grace this gourmet kitchen with beautiful stone underfoot with picture windows to the eastern views. With two over-sized outdoor balconies and folding or French doors that open wide, this domicile truly brings the outdoors inside! With outdoor ocean views and expansive grounds this home offers an abundant locations to just enjoy this estate property. From second story balconies with fold away doors off the theater room and master bedroom . Or sunshine through picture windows in the sun drenched formal living room; the outside is welcome to join the inside space night or day. A master suite to satisfy a world traveler! Complete with steam shower in the master bathroom or you may enjoy a dry sauna in the workout gym room. This estate has a theater room with three big flat screens and a walk-out balcony deck. With 4 fireplaces, custom built in's throughout, limestone flooring; meticulous craftsmanship can be found at every turn. A back yard that includes a BBQ and plenty of grass area offers many locations to enjoy the expansive eastern views of hills that wrap to the ocean." "Offering the prestige of a prime setting on a cul-de-sac street in the guard-gated Ocean Ranch community, this custom estate is among the finest in the enclave. Santa Barbara-inspired architecture graces the residence, which is introduced by a courtyard with fountain.Wrought iron & glass entry door opens to reveal a dramatic oval foyer with 2-story ceiling, curving staircase, bold columns, skylight and beamed ceiling.Wood and beamed ceilings crown many of the rooms within the estate, which offers 5 ensuite bedrooms including a secondary main-floor mini-master suite. Five and one-half baths, a formal living room with spectacular ocean-view bay window, a first-floor office with built-ins, a formal dining room and a great room with slate flooring and stacked-stone fireplace are also displayed. Equally impressive, an enviable kitchen presents a step-down bar, breakfast room, island, French beaumaniere limestone countertops, walk-in pantry, butler s pantry and high-end appliances. Upstairs, a grand hall leads to a media room with ocean-view deck and a sublime master suite with sitting room, fireplace, wraparound ocean-view deck, and a soaking tub, dry sauna and walk-in shower with marble surrounds. Appreciated details include Colosseum stone flooring downstairs, wood flooring upstairs, designer paint, luxe window treatments, wainscoting and rich finishes, all meticulously maintained. Entertain stylishly in an enchanting backyard with pool, spa, lush landscaping and a built-in BBQ." "Perfectly located high on the hill in guard gated Monarch point Estates. Upon entering through the massive arched iron & glass double doors, this almost 5000 square foot home w/ 4 bedrooms, office & you're welcomed into the formal living & dining rooms w/ soaring 2 story ceilings with custom dome design and lighting, massive windows w/ custom etchings, floating grand staircase & polished travertine flooring. The main floor office offers maple wainscoting & built-ins. The large kitchen w/ butlers pantry & expansive walk-in pantry offers top of the line appliances w/ sit down ocean & canyon views. This open design encompasses the family room w/ wet bar, built-ins & offers access to the year yard patio w/ waterfall wall, spa & built in BBQ island. A large laundry room & main floor en-suite bedroom w/ direct patio access. The large Master bedroom & bathroom offer stunning ocean views, retreat area & patio for enjoying the views in complete privacy. A spiral staircase takes you to the 3rd level entertainment deck w/ 360-degree Ocean, canyon & coastline views plus plenty of bench seating, half bath & mini kitchen. The over-sized secondary en-suite bedrooms upstairs offer additional views & patio deck. The bonus room w/ built-ins is perfect for a 2nd office or entertainment space. A gated driveway offers access to the 2 car attached garage w/ direct access & the separate single car garage. Close to shopping, entertainment, harbor, beaches & award winning schools." "Views, views, views! Breathtaking views of the city, ocean, hills and mountains. Located in the great guard gated Monarch Point Estate. This incredible 5,500 S.F. custom estate newly remodeled with a magnificent huge indoor pool, an ONYX custom bar area and indoor fireplace with plasma TV. Features 6 large bedrooms, new carpet, exercise room, built in desk/ study area with 3 computer stations, living ,dining & family room with new stained wood floors, 4 fireplaces, outdoor fire pit. Fabulous new spacious designer kitchen, new quartz counters, splash tile, new stainless steel appliances, bar, pantry, enormous island, new stained cabinets, 2 dishwashers, dumbwaiter. Bathrooms and laundry with new tile floors & new light fixtures.The Master is located privately on the top level, fireplace, Jacuzzi bathtub, private exercise room, sauna, 2 balconies, panoramic ocean views. Very elegant & luxury home front with custom gate & glass work that greets you at the entry, new lush landscape, built in BRBQ, architectural stones, speakers for entertaining, enormous spaces and beautiful views! Drive through your own custom gated driveway, custom garage door with epoxy floors & built in cabinets. Backyard new artificial grass and custom waterfall. Monarch Point offers oversize pool, spa, tennis court, racquetball courts & clubhouse. Close to hiking trails, Dana Point Harbor, Salt Creek Beach, Ritz-Carlton, St.Regis Monarch Beach & Monarch Beach Golf Links, finest OC Restaurants..."
"EXTRAORDINARY RESORT - STYLE CUSTOM HOME WITHIN THE GATED COMMUNITY OF OCEAN RANCH, JUST MINUTES FROM THE DANA POINT HARBOR, RITZ CARLTON RESORT AND MANY OTHER FABULOUS LOCATIONS AND OF COURSE SOME OF THE BEST SCHOOLS IN SOUTH COUNTY. OFFERING APPROXIMATELY 5,500 SQ. FT.(NT) 5 BEDROOMS, WITH ONE BEDROOM ON THE MAIN FLOOR, UPSTAIRS BONUS ROOM, MAIN OFFICE WITH BUILT-INS, 5.5 BATHROOMS, FORMAL LIVING, FORMAL DINING ROOM, OPEN GOURMET CHEF'S KITCHEN, VIKING STOVE AND OVENS, REFRIGERATOR WITH WALK IN PANTRY, NEW ICE MAKER, WINE REFRIGERATOR, ALL OPEN TO FAMILY ROOM, SPACIOUS GRAND MASTER SUITE WITH FIREPLACE, SEPARATE WALK-IN CLOSETS AND TWO VANITY AREA AND VIEWING DECK OVER LOOKING SPARKLING PEBBLE TECH SALT WATER POOL WITH SPA, FIRE PIT, OUTDOOR ENTERTAINMENT AND EATING AREA. 4 CAR GARAGE WITH 20 CUSTOM CABINETS FOR STORAGE AND EXTRA PARKING ON PROPERTY. VERY SPECIAL PROPERTY WAITING FOR YOUR VISIT. 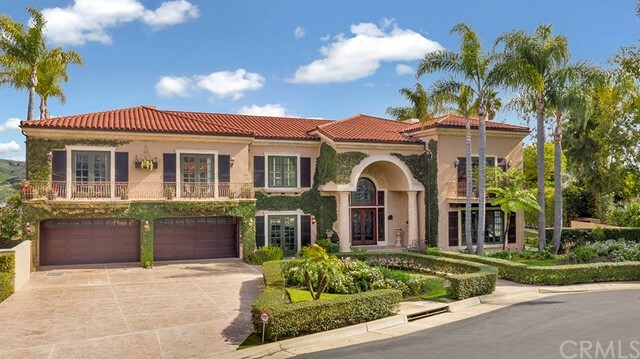 THANK YOU"
"Located in the sumptuous guard-gated community of Ocean Ranch at Bear Brand, this luxurious four bedroom, six bathroom residence exudes relaxed sophistication in one of the most coveted neighborhoods of South Orange County. Boasting elegant details and natural light flowing throughout, the open floor plan is an entertainers delight with a formal living and dining room, family room, and game room with a built-in bar and granite countertops, creating the perfect bright and open space. The gourmet kitchen is perfect for the at-home chef with features that include granite countertops, a butler's pantry, state-of-the-art appliances, cherry cabinetry, and a large center island perfect for gatherings. Polished Travertine floors guide you from room to room while soaring ceilings with solid wood-beams add to the upscale ambiance. The main level boasts an en-suite bedroom, two staircases, and a flawless indoor/outdoor living space that leads to the impeccably manicured grounds with a tropical vibe, highlighting a sparkling salt-water pool, spa, waterfall, fire-pit, outdoor kitchen with a granite bar, and seating area.The spacious master retreat is located on the second floor and creates a perfect haven for relaxation accompanied by a private office space. A large balcony invites you to witness the breathtaking views of the hills, city light, peek-a-boo ocean and Catalina Island while the spa-like bath creates a tranquil area for you to unwind. See Supplement for full details."